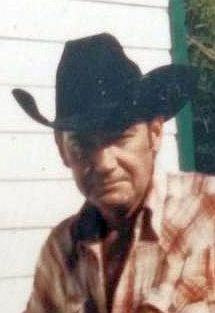 Funeral services for William “Bill” Dewayne Whitton, 73, of Sunnyvale, TX, are scheduled 10:00 AM, Wednesday, April 17, 2019, at Hiett’s LyBrand Funeral Home in Wills Point. Visitation will be one hour prior to service time. Burial will be held at Noon on Thursday at Hall Cemetery in Thicket, TX. Bill passed away Sunday, April 14, 2019. William Dewayne Whitton was born October 16, 1945, in Cleveland, TX, to parents, Robert Lee Whitton and Alyne Sarvis Whitton. He was raised in Slandora, TX and graduated from Slandora High School in 1966. Soon after school Bill served his country after enlisting in the United States Air Force. Bill married Maxine Reynolds in Long Creek, TX on December 25, 1966, and they made Sunnyvale their home to raise their children. He worked in construction as an ironworker for many years. Bill was a member of Tripp Baptist Church. He is preceded in death by his parents, Robert and Alyne Whitton and a brother, Robert J. Whitton. Bill is survived by his wife, Maxine Whitton of Sunnyvale; son, William Whitton and wife Crystal of Rowlett; daughters, Angie Lopez and husband Ruben of Rowlett, Carla Stephenson and husband Ronnie of Wills Point, April Sarlay and husband Scott of Dallas and Julie Testerman and husband Tribune of Garland; sister, Judy of Jasper; grandchildren, Jocelyn, Brenna, Jackie, Michaela, Lexi, Shannon, David, Nathan, Patrick, Robert, Christina, Makenzie, Faith and Justin; great grandchildren, Auri, Avery, Addison, Veda, Easton and Brooke.